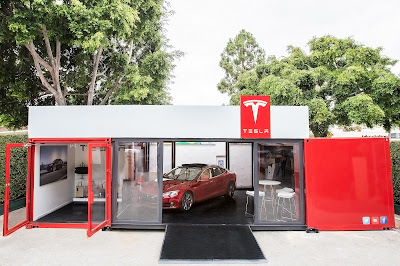 The auto service market in Santa Barbara is a bit of a unique one. Its character is dictated by the size of the town. Perhaps a non-automotive story to illustrate. On my first visit to this city eight years ago, I struck up a friendship with my seat-mate on the flight in. She invited me to see a friend’s band at Creek Side Inn that night, and we hung out with them after their set. The next night, the company I was interviewing with took me out for a night on the town, and we ended up at Dargan’s. Naturally, I ran into the guys from the band there. My first and lasting impression of Santa Barbara: this is a small town. It’s easy to feel like you know everyone... and everyone knows you. This dynamic tends to impact the way people interact with one another, and when it comes to car service, it’s especially true. This may account for the sizeable number of relatively small, independent specialty shops, with a fairly narrow focus. If you visit one of these shops, you’ll likely talk to the guy (mostly) who will be wrenching on your car, and who also might own the place. Haik Hakobian (pronounced “Hike”), of Haik’s German Autohaus, has been working on German cars since 1979. He talks about his shop in comparison to going to a dealer for service. 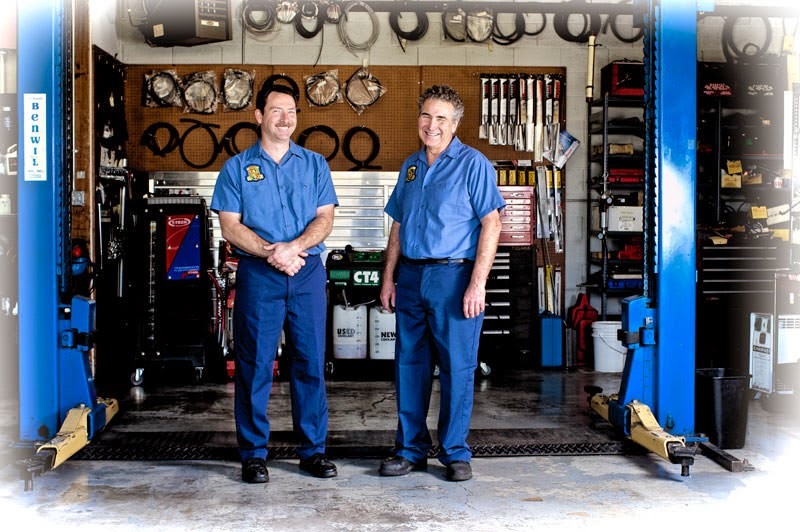 “When they go to a dealership, the mechanic has to come out of the back to talk to them.” Hakobian acts as his own service writer, so his clients can talk to the same person each time, and he feels it elicits more confidence from them. He also gets business from people who have bad experiences at dealerships. “I think some of them are being driven away by some of the attitudes” of the dealership service departments, he says. The Garage is a business that’s built entirely on word of mouth. Christian “Critter” Mooney is a specialist in British marques, and he’s one of the most trusted Land Rover wrenches in town. In contrast to L.A., which has much bigger shops, Mooney talks about the intimate nature of Santa Barbara. The Garage is a business that’s built entirely on word of mouth. “Here it’s a very small community. Everyone knows everyone,” he says. “You’ve gotta keep your name very, very clean in Santa Barbara.” This prompts him and his partner, Bert Linau, a German car mechanic who works most often on Audis, to go the extra mile for their customers, with loaners and rides, and occasionally eating the cost of some service to help someone out. Some shops are actually just one person, as is the case with Der Volks Werks. Dana Steele has owned the business for 31 years, and used to have some help, but it’s just him, since his assistant went on disability due to health issues. If you bring your air-cooled Volkswagen to him, he’ll not only fix it, but he’ll also explain literally every little nut and bolt that he touched in doing so. He sticks to servicing the cheap stuff, and enjoys his rapport with his customers. Roy Miller is one of the more widely known mechanics in town, but he’s begun to wind down East-West Motors, which he’s owned since 1983. At this point, his business mostly consists of long-time customers, who have since become friends of his. With those relationships can come the fraught issue of charging his friends money for work. “That’s a real dilemma for me,” he says. “My wife is so critical of me. She says, ‘You know, everyone loves you, and you do a great job on these cars. Why don’t we have any money?’” He tends to think more about fixing someone’s issue than about the business aspect of it, but the result has been a karmic bonanza. Jack Bianchi has a similar story, though he actually closed his shop in 2006. Now he mostly just works on his own cars and those of friends as a “hobbyist,” and occasionally takes on more specialized projects. If you’ve got a Lotus engine or anything involving a Grand Prix racer, it might be worth your while to seek out his expertise. But he has fairly broad praise for the extant shops in town. “The town supports itself, and there’s really very few bad shops, so if a guy rolls in a fairly new Porsche, I’ll send him to Henry [Hinck] up at Schneider [Autohaus],” also mentioning long- term relationships with Mike Brown and Julio Limon at Santa Barbara Auto Group. Things seem to be getting a bit more difficult for the smaller shops, though, especially in the lower Eastside industrial corridor where many of them are located. While there’s been a steady decline in the number of air-cooled VWs in town, Steele of Der Volks Werks stays busy, since the number of shops that service them has also dropped. Mooney’s shop, The Garage, has had its own share of uncertainty, with rising rents and the threat of a land sale by the owner. He says his type of business is also targeted by the city with Byzantine codes that make it difficult to establish a new operation before running out of money. He believes there’s a strong need for the independent shops as a counterweight to the clout of the dealership groups. It may grow increasingly challenging for those businesses to survive if there’s no place for them, though. Mooney points out that with the success of the Funk Zone, there are well-funded investors looking to replicate it in his part of town. have an noteworthy tale of provenance, or the owner will have a nice personal story attached to it. But the email I got recently from Archie McLaren went beyond these elements. He laid out a tale of a super-rare and exotic looking car, shady financial dealings...and murder. Uwe Gemballa (pronounced “OOH- vay”) made a career of modifying high-end cars, particularly Porsches, with performance equipment and radical body mods, and giving them names like Mirage, Avalanche, and Tornado. Operating from his shop near Stuttgart, Germany, he also included interesting innovations that car companies themselves would later ape, such as steering wheel accessory controls and telecomm gear. In 1987 he took one of the hottest cars around and made it even more extreme. The Ferrari Testarossa (fun fact: it means “redhead” in Italian) was one of the most lust-worthy cars of its day, aided by a starring role in the hit show Miami Vice. The design was already radical, but Gemballa took the super-wide car and widened it by nearly five inches. 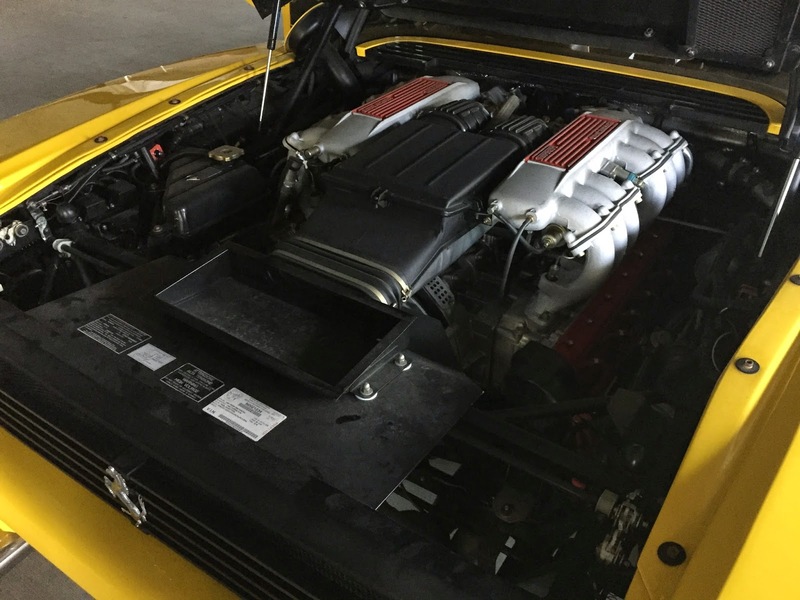 He also replaced the Testarossa’s signature side strakes with a split air intake for better breathing. He added custom wheels, and naturally he restyled the front and rear, complete with spoilers, in addition to shrinking the side-view mirrors. To compensate for the latter change, Gemballa pioneered a technology now somewhat ubiquitous on modern cars: the rear-view camera. 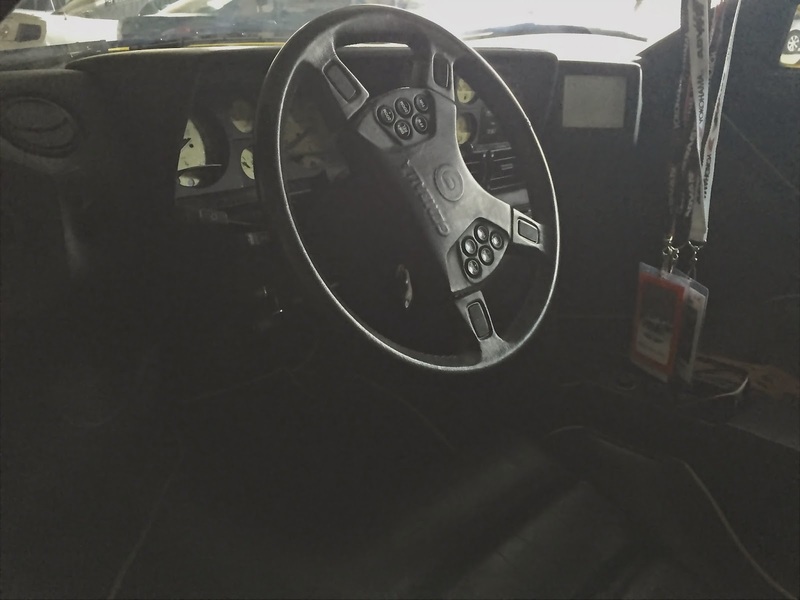 He also did a fully custom interior, which included a dash display for the camera, Recaro seats with yellow piping, and steering wheel controls. The engine remained stock, but Gemballa’s exhaust had a unique six-pipe arrangement. Including the donor car, the final product cost the equivalent of around $200,000 at the time. And he did this conversion only three times, with only two of those cars reportedly surviving to present day. Several years ago, McLaren heard one of the cars was available in New York, and flew out there in the middle of winter. McLaren owned the car for several years before the intrigue began. In January 2010, he got a call from the man himself. 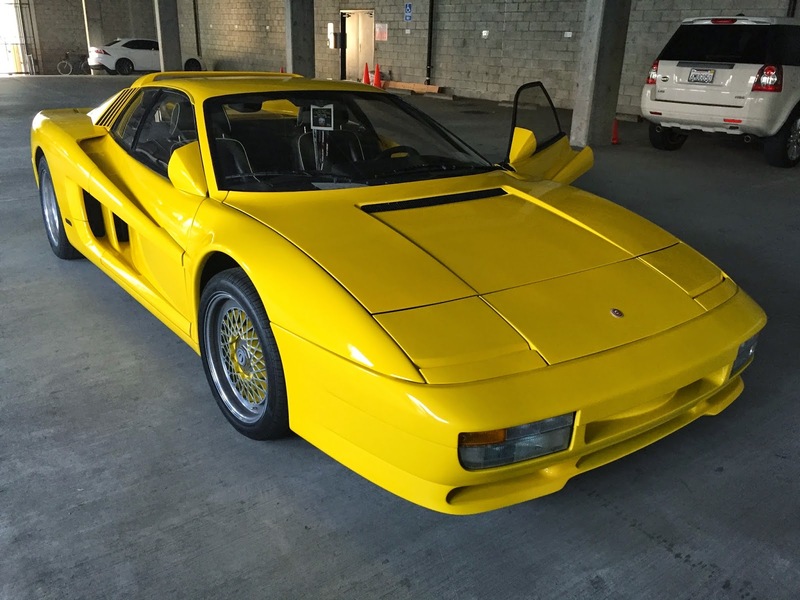 Gemballa wanted to buy back his car. He claimed there was a client of his who wanted to open a Gemballa museum. While McLaren wasn’t much interested in selling, he indulged the builder with a price that he believed was fair, given its rarity and pedigree. “There was a hesitation, a silence, and then he said, ‘Well, I was hoping to get it for a good deal less than that,’” recalls McLaren. At that point, they were the only Ferraris that Gemballa had ever modified. McLaren believes that phone call came from Europe, but he went missing in South Africa, where he was later found dead, that October. Contemporaneous news reporting laid out a money-laundering scheme that Gemballa had been roped into involving his cars. His business was on the verge of a bankruptcy filing, and to escape his precarious finances he was convinced by a Czech crime boss hiding in South Africa, Radovan Krejčíř, to smuggle money inside the cars. It was reported that one vehicle, a Porsche Cayenne, had actually been sent from Germany to South Africa with €1 million, but the money went missing along the way. Shortly before he disappeared, Gemballa called his wife to request that she place a large amount of cash in his account right away. McLaren explained that Gemballa “spoke to her in English, which he never, ever did,” likely tipping her off to the precariousness of the situation. McLaren believes it’s highly unlikely that she complied because they didn’t have access to any significant quantities of cash. Like other tuners in Germany, Gemballa’s business was suffering from a major slowdown in the high-end market, and he was desperate to save the company he’d built. Eventually, the South African authorities did manage to arrest, try, and convict a man, Thaibiso Mpshe, for the murder, all in the course of a single day. Regarding the phone call that McLaren received, he believes that Gemballa was trying to get the car “for a song” so that he could turn around and sell it for the real market value to pay off Krejčíř, or perhaps just give it directly to the man as payment. It seems that Gemballa theorized that he could use his name and the story about the planned museum, to appeal to McLaren’s sense of pride, and pry away the car for chump change. “He was nice, there was nothing arrogant or intimidating about him,” he says. For this story, I met McLaren at his condo in downtown Santa Barbara. He showed me the car in the ground-floor garage, and it’s quite a sight. One of the most striking features is the diminutive side mirrors, a high contrast from the extra-long originals. The rear-view monitor sticks out of the dash prominently, since Gemballa had no access to flat LCD screens in those days, but it is still nicely integrated to the interior design. And the sound that emerged from the car when he cranked it up was magical. McLaren’s own story is quite compelling as well. “I was born in Atlanta and moved to Memphis the next day ‘cause the music was better.” His career in legal publishing took him to the western U.S. and all over eastern and southeastern Asia. In retirement, though, the real fun began, with deep involvement in the worlds of fine cuisine and rare wine. He has been involved in several organizations in the wine world, and even founded the Central Coast Wine Classic, a prestigious food and wine event more than 25 years old. The event has also raised more than $2.5 million over the past decade to support the healing, performing, and studio arts. Beyond these activities, McLaren’s bio is too long to adequately capture here, but suffice to say he spends his days traveling the country and the world helping out with charity auctions, chairing events in the wine and food industries, and studying subjects like language, art, music, and anthropology. He has also done some writing on topics like multiculturalism and women’s rights. A renaissance man, I suggested. In recent issues of the Montecito Journal, I’ve told readers about events and exhibits at the Murphy Auto Museum in Oxnard. I was there this past weekend to see the L.A. Studebaker Drivers Club’s 30th Annual Winter Meet Car Show, and while there I got a tour from museum director David Neel, who pointed out some of his favorite cars in the collection. Here is a look at some of those cars, and what makes them interesting. 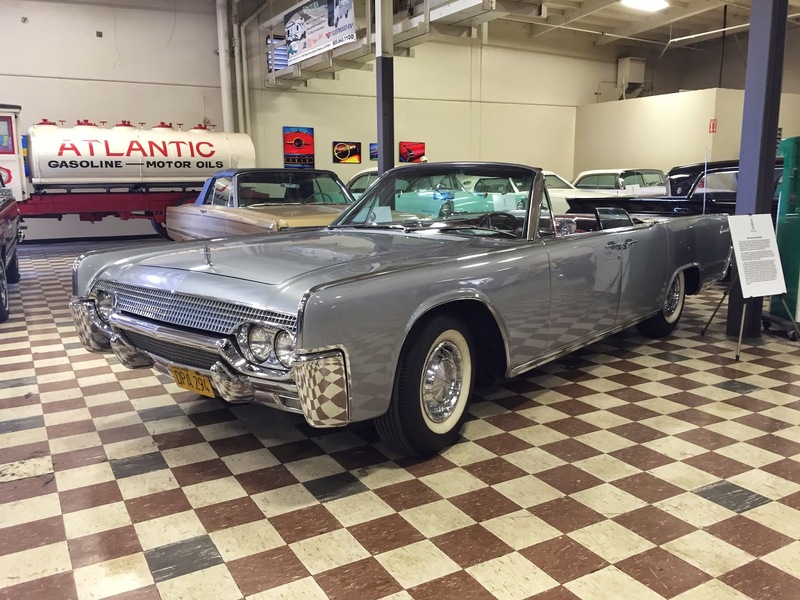 The 1961 Lincoln Continental hails From Neel’s personal collection. Viewers of the HBO series Entourage are familiar with this car, especially the black example that stars in the show’s opening sequence. The feature that makes that sequence, and the car itself, particularly striking, is its “suicide doors,” which open from the center. There are several common stories that illustrate the origin of this moniker, but all speak to the dangerous nature of the feature. 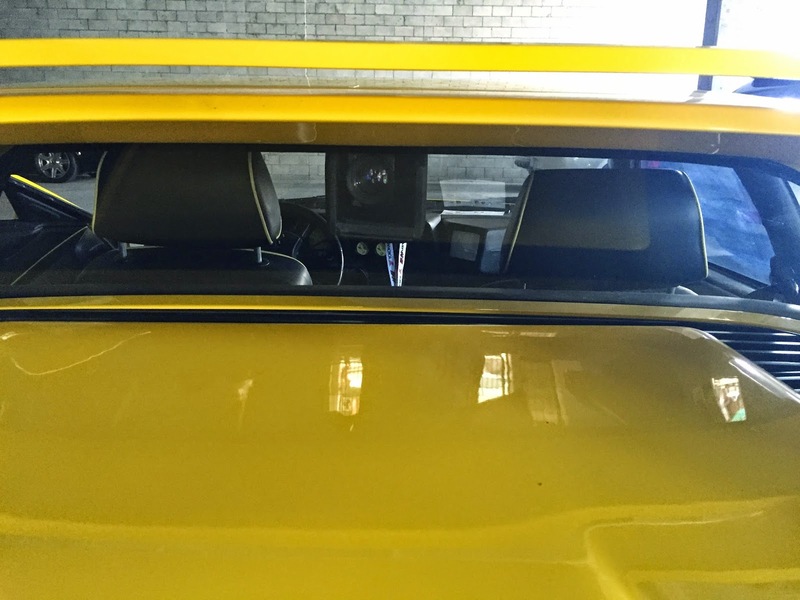 One points out that if a rear passenger exits toward the street, a car coming up behind that edges a bit too close would clip the door, closing it on the passenger, with the ugly result that the bottoms of their legs – and in the case of a hard top, their head – are swiftly removed. The next theory goes to the fact that the side impact protection of the passenger cabin is compromised by the lack of what is called a “B pillar,” the piece of metal to which the rear door would normally be mounted. But Neel subscribes to the third, which indicates that if you’re traveling at speed in the rear of the cabin and the passenger door has not been fully latched, the act of trying to grab it as it opens would pull you straight out of the car. Neel helpfully explained the rationale behind the design, though. The Continental sitting right next to it on the museum floor was the previous generation, and it was the longest car ever produced – longer than a Ford Excursion. The suicide door design helped to take out nearly 17 inches in length. That previous car had sold few copies, and this fourth-generation Continental was given the arduous task of saving the entire Lincoln brand. Neel’s copy only has 20 thousand miles on it, and is unrestored, making it that much more valuable. On loan from the Petersen Museum in Los Angeles is a 1938 tractor truck from R.E.O., Ransom Olds’s second company. It’s towing a Curtiss-Wright Aerocar trailer, which had been designed with an interior on par with a Pullman luxury train car. It was used by a wealthy land developer in L.A.
“He would take his potential investors around to all his holdings,” says Neel. Later in its life, it would take tourists around Griffith Park, until it stopped running in 1991. It usually sits in front of the Petersen, but that museum’s remodel brought it to the Murphy. To get it in its current place “took like five hours,” says Neel, “because it’s so big, it doesn’t have power steering and it’s articulated.” When you see this behemoth in its current spot, you’ll know what he means. As the Studebaker show was bustling outside, Neel brought us to a Studebaker Avanti in the museum’s main collection. This version, a supercharged R2 model, was a 1964 model, which had squarish headlight bezels instead of circular ones, the only distinction versus the previous year. The car was designed by Raymond Loewy and his team with a fiberglass body, integrated roll bar, and aircraft- style switches in an effort to “design a car that nobody else could touch.” Studebaker was essentially broke at that time, and the Avanti was a failed effort to save the company. Andy Granatelli, a tribute to whom had just opened in the room next door at the museum, had helped to tune the car for Studebaker, and he also set several land-speed records in it, some still standing. 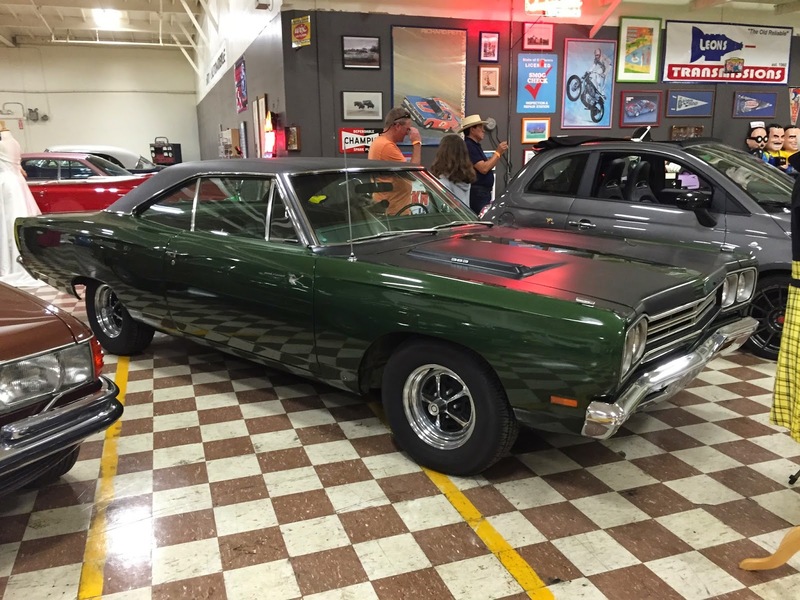 The Murphy has a 1969 Plymouth Roadrunner, owned by an accountant in L.A. It was one of the first cars in the collection, in 2002. “This car was restored in 1980, and it’s never seen the light of day since,” says Neel. “If you look inside that car... it looks like a brand-new car.” It also has several options that make it particularly valuable. 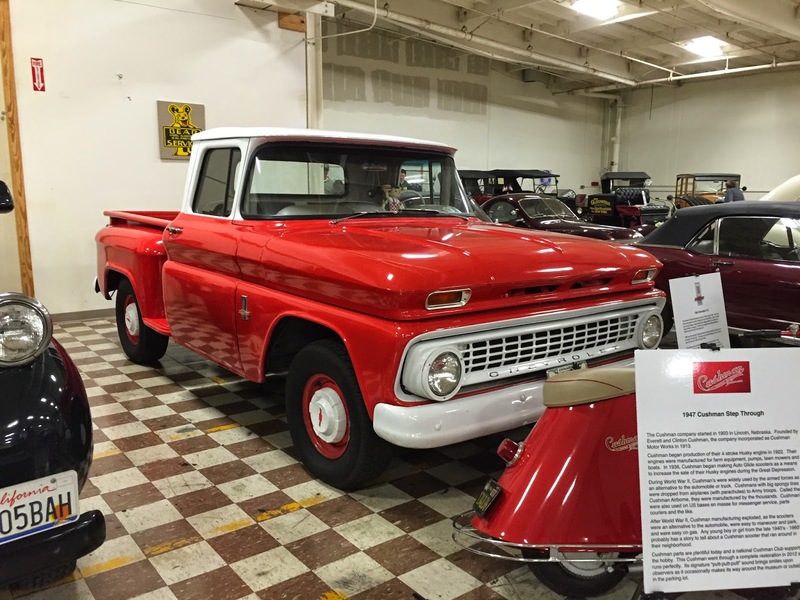 Finally, Neel pointed out another vehicle from his own collection, a 1963 Chevrolet truck. “I learned to drive on a truck just like that,” he says, echoing a similar notion to the one that has driven the explosion in classic car values – particularly for muscle cars – in the past few decades. The baby boomers grew up in the heyday of American automotive excitement, before geopolitical oil issues and safety concerns imposed constraints on power and styling. Now in their prime earning years, many of them have come back to the cars they loved, and driven up prices for these rides to stratospheric heights. The museum houses cars mostly from private collections, a testament to this desire for nostalgic vehicles. And the Murphy has much more to offer, with not only cars from every era, but also art exhibits, and even an 1,800 square-foot train set created and operated by the Gold Coast Modular Railroad Club. And there are continuous special exhibits, like the current one featuring Jeeps back to WWII, there until the end of this month, followed by vintage campers starting in April. The suggested donation for admission is $9, free for kids and active military, and for that price you get a look at more than 100 years of automotive history. Visit murphyautomuseum.org for more info. On a recent road trip, I found myself with idle hands as my girlfriend, Liz, drove us down to L.A. So I began to play around with the iDrive system in her BMW to see if there was anything interesting hidden within its menus. Inevitably, I came to the BMW Apps option and eagerly dove in. The suite offered connections with services like Facebook and Twitter, as well as news and weather feeds, among other things. After wrestling with the controller for quite a while, I eventually figured out how to activate all these features. Still, the functionality was sub-par, and we ultimately concluded that it was likely the only person using the BMW Apps suite was the engineer who designed it. There were a few other features on her car that Liz wasn’t familiar with, so I gave her a brief tutorial based on my experience evaluating vehicles, including BMWs, throughout my career. And of course, the thought came to us: shouldn’t the dealer have done this? Yes, yes somebody there should have, as part of the delivery process. Delivery is what dealers call the process when a buyer comes to complete the purchase and pick up their vehicle. And getting it right has become all the more important in these days of proliferating automotive technology. 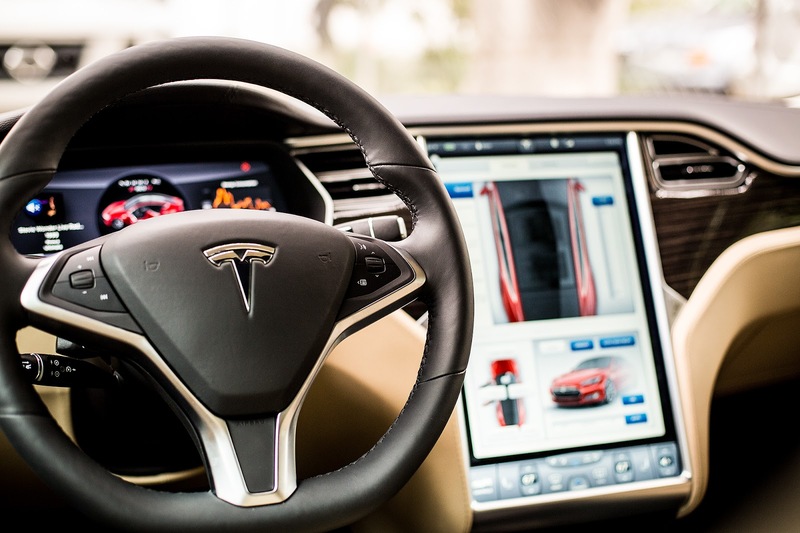 Just about every luxury car now has an infotainment screen, which centralizes all of the functions of the vehicle, such as music, navigation, climate control, vehicle customization, and things such as web browsing and smartphone app extensions. These systems are now becoming more common among mainstream cars as well, and this fact can actually have a surprisingly negative impact on satisfaction with these cars. Consumer Reports has noted strongly that certain brands were seeing lots of unhappy customers due to confusion over infotainment systems. Just as Liz’s BMW dealer failed to adequately school her on the car’s systems – the dealer name has been omitted to protect the lazy – I’ve heard from many other people who have had similar experiences. Isn’t there any dealer out there who takes the time to do a delivery right? I decided to find out. 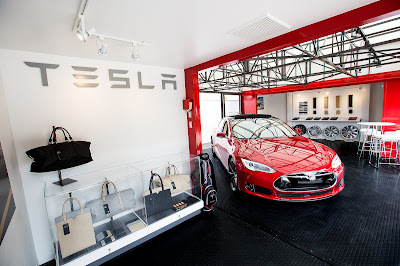 So I took to the web, and using Yelp I sifted through reviews of just about every dealership in Santa Barbara, looking for one thing: the mention of a thorough delivery process. And I found it, once. The only dealer I saw who got props for walking a customer through the many features of a car was DCH Lexus, and the reviewer, Steve F., mentions Dana Ochoa by name, thanking her for a great sales experience. Now, I certainly don’t mean to suggest that this type of experience doesn’t happen regularly in Santa Barbara, since this was a cursory examination of one source. I’ve definitely had great interactions with local dealers, and I know they provide many great customer experiences. But I would have expected such an important aspect of the delivery process to be more memorable. So I decided to talk to Ochoa about her approach, as well as that of the dealership she represented. While she no longer works at DCH, she sat down with me to talk about her experiences there and the legacy she left, as well as her general philosophy of customer service. Ochoa started her career at a Toyota dealer in L.A. in the 1980s, and has had experience at several dealerships. In her view, many of them have historically had an attitude about the delivery characterized by “The 3 Cs”: “See the keys, see the car, see ya later,” she said. As technology became a bigger part of the user experience with cars, dealerships took a bit of a “trial and error” approach, said Ochoa. When customers would come back and ask about a feature, the dealers would start to educate them more. In recent years, though, some car manufacturers began to push dealers to start educating customers further, realizing the damage their confusion could do to their brands. Lexus has been one of the most aggressive in this regard. 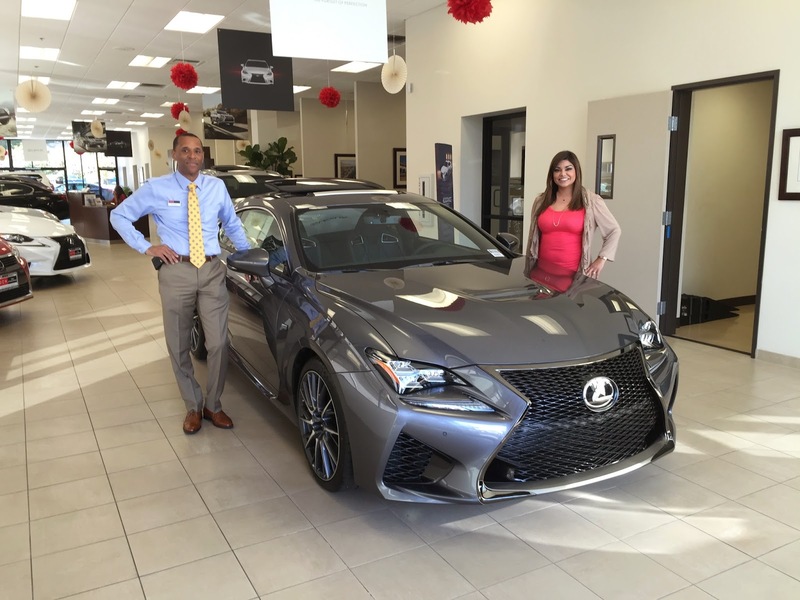 During her time at DCH, Lexus approached Ochoa to set up a Lexus Delivery Specialist function. “We were a brand-new store. At the same time that we were launching, Lexus was launching their Delivery Specialist.” While most Lexus stores designated a single Delivery Specialist, DCH invested the money to certify each of their sales people as such. Ochoa created the LDS program for the store, which is still used as the template for deliveries there. Ochoa has since moved on from DCH, but I got a chance to talk to her successor, Karissa Sanchez, who is in charge of Customer Relations. She talked about the current process, which is driven largely by the use of a custom iPad app from Lexus. The app cleverly starts with a customer-specified delivery duration and fits the features into the time allotted. Interestingly, when Sanchez showed me the list of recent deliveries, every single one had been roughly a half hour. 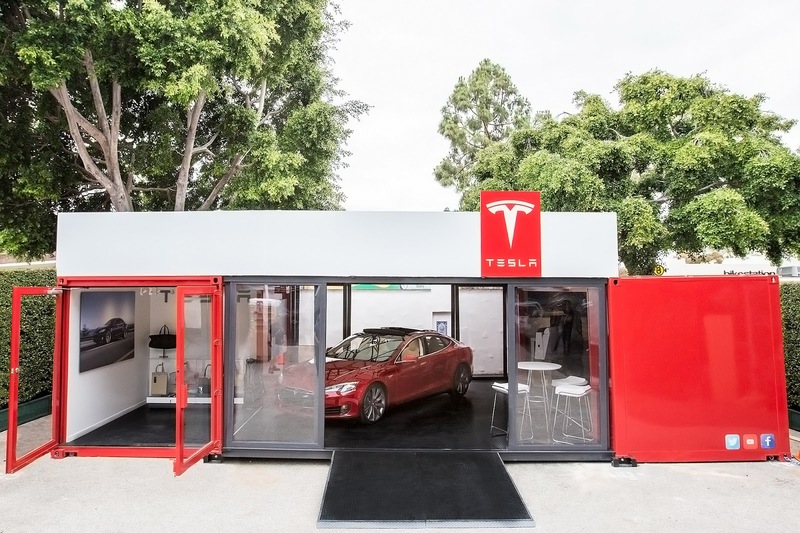 It’s not surprising, given customers’ excitement to get on the road, and it clarifies the challenges that dealers must face in educating their buyers. There’s a fine line between a thorough run-through and information overload. Michael Lampkin, the dealership’s technology specialist, echoed this sentiment. “After a while, the fatigue sets in and their eyes glass over, and I don’t even know if they’re retaining it.” He suggests to many customers that they carry a pad with them in the car to write down anything further they’d like to learn. One challenge for the delivery process can even be outside technology, such as when setting up connections to third-party apps. Lexus’s Enform infotainment system lets them link with these apps, but a lot of customers do this at home because they can’t remember their passwords, said Sanchez. This issue sounded all too familiar, and my suggestion that they have customers arrive with a list of their passwords was received positively. The Safety Connect system is also set up at this time, so if the car is in an accident Lexus can dispatch emergency services to its location. While many infotainment systems have this sort of functionality, I suspect that in the absence of thorough delivery processes, many drivers leave the dealer without ever knowing about it. Regardless of where you buy your next car, odds are there’ll be a learning curve, and you’ll need to play around with it for a while to get the full picture of all the technology packed into your new “rolling computer.” But the good news is, dealers and manufacturers are getting much better at educating their buyer base about all these vehicles have to offer, so there’s hope for even the staunchest technophobes.